With so much quality artwork coming out of Australia, it's no wonder that national interest in the arts has flourished. State institutional galleries and national galleries and thriving with ever increasing visitation. With wonderful permanent collections of Australian art, Aboriginal art and international art, the event calendar for these public galleries seems to get more exciting every year. Be sure to check into your nearest gallery often. A weekend away to another state gallery is always an excellent reason to escape. The National Gallery of Australia in Canberra houses more than 150,000 artworks across four main areas: Australian art, Aboriginal & Torres Strait Islander art, Asian art and European and American art. A short stroll from Wentworth Galleries in Sydney, our state gallery is home to a rich and varied collection of Australian and International art. This is a must see for Sydney siders and visitors alike. With a great history of art in Victoria, it's no surprise that the National Gallery of Victoria plays host to some of the biggest international exhibitions. The permanent collection holds more 68,000 works of art. The MCA sits on the foreshore of Sydney Harbour in an enviable position. An eclectic mix of rotating work and blockbuster exhibitions make this gallery a favourite for contemporary art lovers. NSW biggest photography exhibitions are held here. A collection of national interest. The national portrait gallery hosts portraits of prominent Australians that are important in their field of endeavour or whose life sets them apart as an individual of long-term public interest. A good addition to a visit to the National gallery. Located within the Moorilla winery in Hobart, Tasmania, it is the largest privately funded museum in Australia. Presenting antiquities, modern and contemporary art from the David Walsh collection, it has been described as a "subversive adult Disneyland." The Museum and Art Gallery of the Northern Territory in Darwin is home to the Telstra National Aboriginal & Torres Strait Islander Art Award. The most prestigious award dedicated to Indigenous art and a great event in conjunction with Darwin festival. 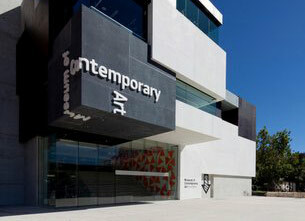 The Art Gallery of Western Australia is a public gallery that is part of the Perth Cultural Centre, in Perth, Western Australia. The State's art collection consists of over 15,500 works of art and plays host to the largest international exhibitions on the West Coast. Established in 1891, the Queen Victoria has a strong reputation for its excellent collection, which includes fine exhibitions of colonial art, contemporary craft and design, Tasmanian history and natural sciences, specifically a zoology collection.